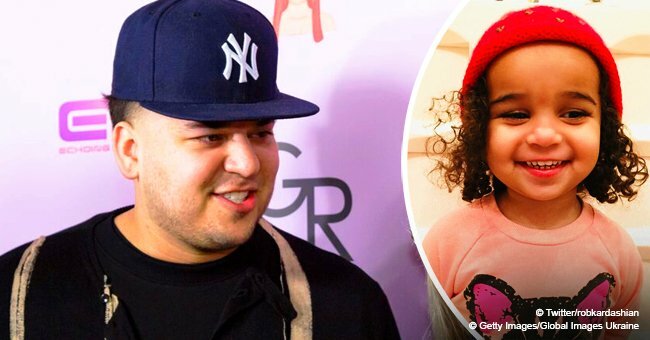 Rob Kardashian's daughter mesmerizes with her dreamy eyes in her latest photo where her father dubs her the "Smoothieee Queen." 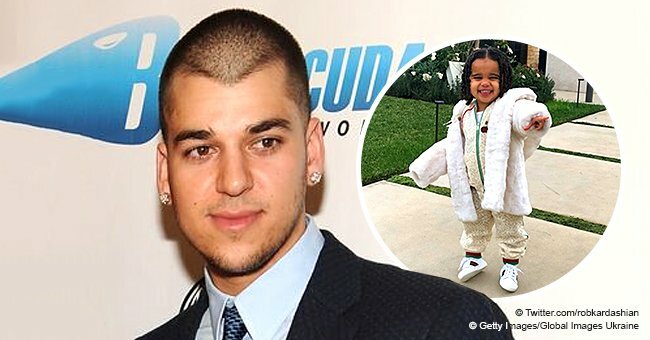 Rob Kardashian just shared another adorable photo of his daughter Dream amid his absence in the limelight. 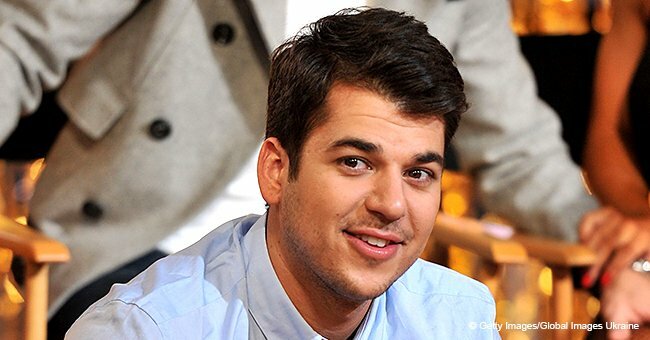 It’s been a while since the Kardashian son graced the limelight with his presence. Since splitting from his ex-fiance, Blac Chyna, the reality star has been devoting his time to their daughter, Dream, and his health. On occasion, he’d share a glimpse of his growing toddler and cause a stir online. Take for instance this cute snap of the one-year-old looking sporty in a grey cap. Rob tweeted this last week just to greet his followers “GOODnight!” The little girl with dark curls and pronounced eyes captured the hearts of his followers who gushed about how “adorable,” “gorgeous,” and “precious” she is. 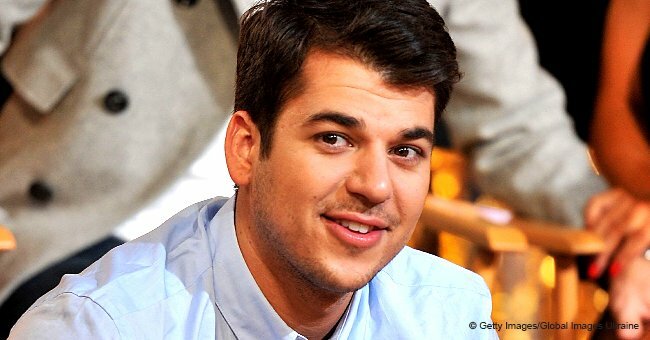 “She might just be the cutest out of all the Kardashian grand kids,” another added. 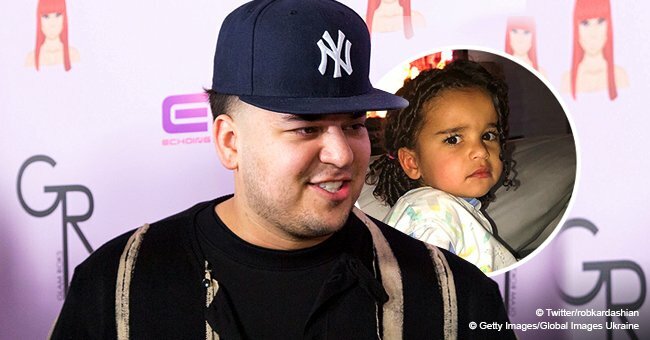 Dream’s mother, Blac Chyna, has recently been hinting at a possible reconciliation with Rob. She told Daily Mail TV that “maybe” she’ll consider getting back together with the 31-year-old reality star. Even her ex-boyfriend Menchie alluded to this in an interview with Hollywood Life. He said there is a possibility the ex-fiancés would reconcile. WOULD ROB WANT HER BACK? It’s unclear if Rob would consider the idea as well. He’s been successful in getting his life back and altering his health habits since splitting from Chyna in early 2017. The sock designer has reportedly lost close to 50 pounds. His focus now is clearly on himself and his daughter. His family may not be as accepting of the idea of him getting back with Chyna too. The singer filed a lawsuit against most of the Kardashians including Rob’s mom, Kris Jenner, at the height of their controversial split. The wounds have yet to heal before Chyna wins the family back.